Allow me to introduce myself. I’m Rabbi Howard Shub. My background includes working with young Jews as a Hillel Director, working as a Probation/Parole Officer in Australia, directing a major Jewish educational program in Israel for young Jewish adults, & serving as a congregational Rabbi since 1988. I am a Canadian by birth, & have earned degrees from Yeshiva University, Hebrew University, & The Jewish Theological Seminary, where I was ordained as a Rabbi. Don’t let all the degrees, education, & experience intimidate you, I am here….for you. Here at Temple Beth Tikvah, we have initiated a number of new programs designed to enhance the lives of our wonderful congregants, as well as attracting new members. We are looking for Jewish people of all ages, married & single, with & without children, affiliated & unaffiliated. 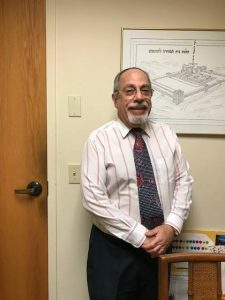 Our purpose is to widen the synagogue’s service base in order to attract & retain all Jewish individuals who are looking for a “second home”, a home where one is able to pursue Jewish interests in the social, educational, religious, cultural, & spiritual realm-all in a friendly & “Heimish” (warm) atmosphere. In addition to having one of the area’s premier & award-winning Adult Jewish Education programs, Temple Beth Tikvah has expanded its Shabbat activities to appeal to both families & individuals who wish to learn more about the Shabbat service. Watch for the myriad of activities that make Temple Beth Tikvah our second home & hopefully your second home. We invite you to become part of “Our Extended Family”. We are offering more courses & programs as well as social activities in our beautiful synagogue. We welcome you to join us in what promises to be an exciting year of meaningful & fun activities at Temple Beth Tikvah. Cantor Irving Grossman, a native of Baltimore, Maryland, is the son of Cantor & Mrs. Herbert Grossman. He is a graduate of the Cantors Institute of the Jewish Theological Seminary, in New York City, where he earned the degree of Hazzan. He has studied extensively with the world famous Cantor David Kusevitsky. He is continuing to work with congregants to develop a junior choir as well as an adult choir to enhance the beauty & solemnity of our religious services. As an active member of the Cantor’s Assembly, Cantor Grossman frequently participates in Cantorial concerts. Since 2003, when he became our Cantor, this talented Hazzan has enriched our Congregation’s religious & educational endeavors. He organizes several annual concerts of renowned cantors from Southeast Florida and his signature, “Stars of Tomorrow” series.